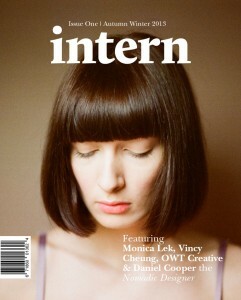 A Manchester photographer is using Kickstarter to fund a bi-annual magazine to showcase the best unpaid and intern talent across the creative industries. University of Manchester graduate, Alec Dudson, also wants Intern to publicise the issues surrounding the very nature of work placements. He explained the need for the magazine came from his own experience of internships, which took him from Milan to London, via Athens. However, despite gaining lots of experience (albeit unpaid), none of this helped him get any closer to actually starting a career and getting a paid job. Intern is being marketed on 2 fronts, the first as a showcase for new talent and the second to start a debate about the culture of placements and internships. “I am also making a stand, whereby every contributor involved in the magazine will be paid. This won’t be as much as these guys will inevitably make in the future but serves hopefully as one of the first in a long line of monetary rewards for their hard work and talent,” he explained. He’s currently reached £4917 towards his £5500 goal. This cash will be used to cover the initial print run of 2000.